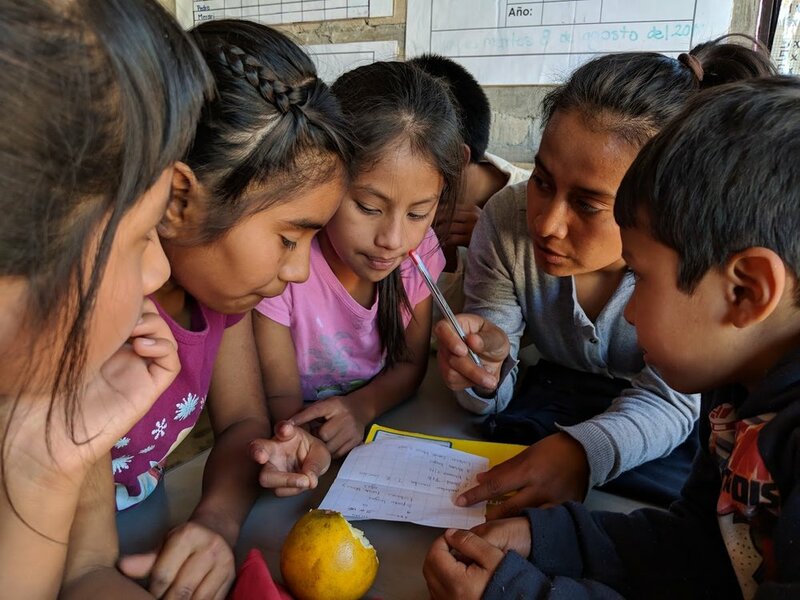 Our recent Field Note from Oaxaca is penned by volunteers extraordinaire Eleanor McCormick and Stefan Schütz. Eleanor, the associate pastor at Plymouth Congregational Church in Lawrence, KS, and her husband, Stefan, have led multiple youth and adult groups from their congregation at our project site on the Cheyenne River Sioux Tribe Reservation in South Dakota. 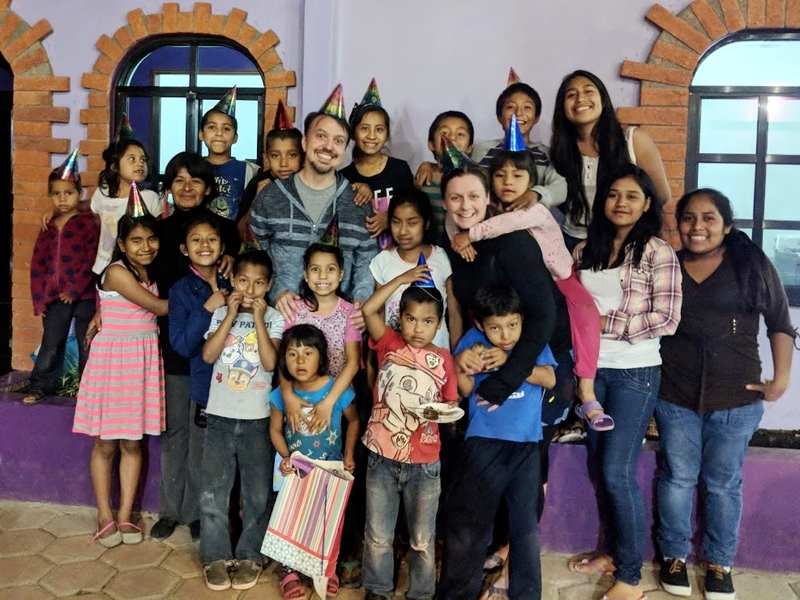 They recently had the opportunity to visit the Simply Smiles Home for Children in Oaxaca, Mexico, working alongside children's home director, Gaby Chavez Hernandez, and the Mexico staff and, of course, having fun with the kids! Below are some of their insights. Just a short drive south from the Oaxaca Airport in Mexico is the Simply Smiles Home for Children. We entered the large metal gate to the joyful greetings of children—all eager for hugs and introductions. The colorful walls, chalk drawings on the paving stones, marbles in the sand, and bubbles in the air told us a full week was ahead! Wednesday night Ana Lucia (6), with the patience of Doña Lulu and Doña Sylvia, staff at the children's home, helped in the kitchen cutting tomatoes—just as Sergio does on the Reservation. Similar to Simply Smiles' programs on the Reservation, where community is created under a pavilion at long picnic benches, we found a feeling of community in the courtyard at Simply Smiles Mexico: food is served family style, and relationships are nourished over delicious meals and laughter. Each morning the children left for school. Meanwhile, the dedicated and loving staff of Simply Smiles worked hard preparing homemade lunch, mopping dormitories, sweeping outdoor play spaces, attending to dishes, and beginning laundry for 20 busy children all under the age of 18! Alma and Charlie created, sewed, and glued magnificent costumes for the upcoming Revolutionary Day parade, and their full crafting table was met with the biggest smiles as the children returned home in the afternoon. Gaby Chavez Hernandez has hired and inspires a team that looks out for the best interests of the children. This includes Rosa (6), who lacks the ability to speak, walk, or eat solid food. It also includes Jennifer (15) and Rosibel (17), who sit with Gaby and Paola at the kitchen most evenings to work on their high school level exams in human anatomy or English. On Saturday night, we celebrated Maricela (5) and Jenny's (9) birthdays! We all enjoyed a dance party with DJ Felipe (5), chocolate cake, fun hats, and lots of very loud singing! These are the small things that make the Simply Smiles Home for Children different. A trip into the city for a cake: worth it. An extra hour in the evening on homework: worth it. The opportunity to make a child feel affirmed, known, and loved—this is what Simply Smiles is all about. Simply Smiles is making a long-term commitment to each of these children, and the level of dedication is palpable. Eleanor & Stefan join the birthday festivities at our home for children! As we asked more questions and participated more fully in the day-to-day schedule at Casa Hogar, we learned just how many opportunities are assured to these children. Through connections with local doctors and a location close to a children's hospital, access to affordable and excellent health care is provided to each and every child. A safe, clean, dynamic, and loving space has been built and is being maintained and expanded, so that these children can excel in school and have a brighter future. Educational success is supported by Doña Mari's fresh breakfast. Staff member Alma speaks with each child's teacher every day, attends school meetings, and tutors during afternoon homework hours. For many years, we have been watching the Simply Smiles Home for Children transform lives from afar. We are so grateful for this opportunity to finally meet the children and see the sanctuary that has been built by volunteers before us in Oaxaca. Our experience only confirmed what we already knew to be true: Simply Smiles provides bright futures for children—one smile at a time! 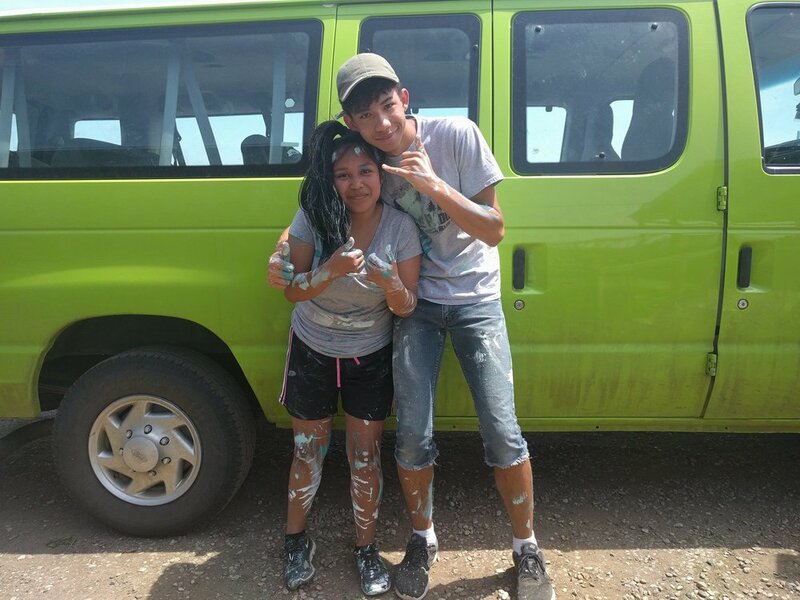 Because of the quality of the volunteer experience that Simply Smiles consistently provides, we have returned to the Reservation year after year, leading youth and adult service trips. We plan to return to Simply Smiles Mexico for the very same reason. We were well prepared by the Simply Smiles staff, who were with us every step of the way. We lived and worked alongside staff like Gaby - who are patient, well informed, and working to create lasting change. No busy work ever... and this is not volunteer tourism. This is, as we have come to expect from Simply Smiles, a profound, impactful and safe experience. We will miss the smiles that filled our past week. We look forward to seeing them again soon. Thank you to the staff of Simply Smiles for this remarkable volunteer experience. We cannot imagine a better way of spending our vacation. Today's Field Note is brought to you by Rachel Westby, a first-time volunteer with Simply Smiles and first-time visitor to the Cheyenne River Reservation. This week, she joins her mother, Rev. Laura Westby from First Congregational Church of Bethel. This is my first year out on a Simply Smiles trip. So far, it has exceeded my expectations. The people I’ve met possess more self-awareness and pride than I have ever seen. Their ability to recall their history back through the generations is staggering. This especially resonates with me as a person very interested in history. One woman in particular has touched my soul. Saying her life has been difficult is a gross understatement. Despite her hardships, she has maintained a deep, profound sense of faith and self-worth. She is one of those people who emits positive energy through her pores and anyone who meets her is better for it. Garden fun: The kids plant potatoes during garden class in the new raised beds! My main service project for this week has been expanding the community garden just outside the Community Center: constructing raised beds and then hauling the soil to fill them with. It has been a labor-intensive, sweat-producing, dirty job, but the gratification I’ve felt has been immense. I also helped get the hydroponic growing tower up and running inside the Community Center. Just today, the little sprouts have emerged over the dirt! Being able to interact with the kids on the reservation has been so rewarding for me. Today, I worked with a small group of campers to bake cookies for the community meal tomorrow night. As anyone who has worked with the combination of children and kitchen activities can attest, the success rate is dubious at best. The possible pitfalls are numerous and the potential for at least one child to be covered head to toe in flour is highly likely. However, this is not what happened. Fun with food: The kids make chocolate chip cookies with Rachel and Laura Westby for the town-wide meal on Friday! I was not anticipating the generally good behavior that the kids exhibited. There was sharing, turn taking, and we all emerged with minimal flour transferred onto our clothes. Not a single cookie disappeared or was unaccounted for, minus the one I swiped for strict quality control purposes. Every child contributed to the dough making process, everyone got an opportunity to put the dough onto the baking sheets, there was only minimal grumbling when they were told they had to wait until tomorrow (an eternity) to enjoy the cookies they made. One girl even offered to help me after all the others had moved on to other activities. Not only that, but each child contributed to the cleaning up, which is rare for most kids without some form of dramatic protesting. It’s been great to experience the universal nature of kids to want a little bit of love and praise. Overall, this experience has been absolutely incredible. I know that what our group has done this week will resonate for both myself and the community here in La Plant. I am already planning to return next year and see wha else has been done, and maybe even rekindle relationships with the kids who I’ve connected with from the summer camp.